Burpee's Ambrosia has been our top-selling cantaloupe for over 20 years because of its luscious, extra-sweet taste, juiciness and nectarous aroma. The thick, firm, flesh is delicious right down to the rind. The 6" melons average 5 lb. each. Vines yield bumper crops and are mildew-resistant. Direct sowing is recommended, but to get a head start you can start melons indoors 3-4 weeks before the last frost in individual biodegradable pots indoors. Sow 2-3 seeds per pot. Sow seeds 3 inches apart in groups of 4-6. Cover with ½ inch of fine soil. Space groups 4-6 feet apart each way. Melons have a shallow root system, mulches help retain soil moisture and maintain even soil temperatures. As plants grow, mulch to control weeds, keep fruits off the ground and conserve moisture. To prevent diseases keep melons off the ground. Allow your melons to ripen on the vine. In general fruits are ripe when they smell aromatic and when stems start to crack and the fruit slips off easily with light pressure from your thumb. Harvest cantaloupes when the fruits change from green to yellow or tan and they break away easily from the vine. Harvest winter melons when they turn the appropriate color and their blossom ends are soft. Honeydew melons are ripe when the skin turns to a creamy yellow color and the blossom end is slightly soft. To avoid damage, cut the honeydew off the vine with sharp shears. Watermelons are ready to harvest when their undersides turn from white to a creamy yellow. The tendrils closest to the fruit will also turn brown and dry up and the skin will become dull and hard at harvest time. For best flavor eat at room temperature. Melons may be stored in the refrigerator for a short time. They will lose their flavor and color if stored too long. Cantaloupe, Burpee's Ambrosia Hybrid is rated 4.5 out of 5 by 48. Rated 5 out of 5 by JohnP5417 from Excellent Melon I've been growing Ambrosia for years and it is the only cantaloupe that I will grow. The skin is thinner than grocery store melons and the flesh is as sweet as honey. Even here in Central Texas these melons give a bounty of fruit and don't seem to bothered by the heat. I just make sure to keep them watered. Rated 5 out of 5 by jlturne from Haven't got yours yet-you're running out of time!! Last year was my first year growing ANYTHING, and I learned quite a few things. These along with the serrano peppers and the early midnight hybrid eggplant plants that I purchased were the biggest successes. I've got great soil that needs only nitrogen and some lime to bring up the pH. I threw these in an area of the garden that I hadn't yet worked the soil in. I dug up an 18" square and turned over about 15" of soil. It wasn't the dark rich soil in my garden, but was that typical Oklahoma red clay. I carried on with my plan, threw down some 4' landscape fabric to keep down the weeds and waited to see what happened. I keep these watered well, but never even fertilized them. Planted 2 groups of 4 seedlings about 4 feet apart and a third group of Hale's best cantaloup plants that I bought from a big box store. These outperformed the Hale's best by leaps and bounds once they got going. The vines grew longer than listed - mine grew past the 4' landscape fabric, over the 2' border and about 2' up the side of my fence. Long story short I gave away more than I could eat and I was eating melon almost everyday. The flavor was phenomenal and all I can think about this winter is cutting more up next summer. Next summer I'm planning to take them out of the garden and plant a large patch on the south side of my garage. THE NITTY GRITTY - once these start ripening, they ripen fast. I had a couple that went bad in the garden. I never had to fertilize and the soil was terrible. The production and size are HUGE! I weighed one of the bigger ones and it was nearly 10.25 pounds, yet they are so sweet and delicious. I watered regularly and we had a very wet growing season this year. Even had a few thunderstorms and I lost some of my fence. In the first photo, the larger melon is the Burpee's Ambrosia and the smaller is a Hale's best. Rated 5 out of 5 by bgmoehring from Delicious and prolific Prolific vine growth, even in this year's drought. Delicious melons, too! Rated 5 out of 5 by garden owl from The BEST EVER!!!! This will be the fourth year that I am growing Ambrosia, and it is safe to say that I won't grow any other variety ever again! To me, everything about this melon is perfection, from the lovely golden color to the sweet, musky flesh. If I could imagine what summer sunshine tasted like, it would BE the Ambrosia Cantaloupe! 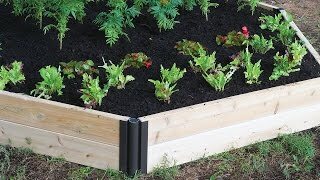 I have one plant per 4' x 4' raised bed, and I use Livestock Panels as trellises to elevate part of the plants; the plants are also allowed to go over the edges of the beds as they grow. This gives me some melons that are usually about 3-3.5 lbs. (melons on the trellises), and some that are as large as 5 lbs. (along the ground). I do not pick any of my melons; I declare them "ready" when they slide off the vine. I sow directly into the raised beds outside, so it is the very end of April, or the first of May when I plant. 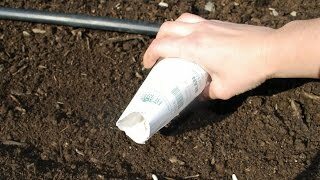 We sow White Radish seeds as companion plants when we sow the Cantaloupe, In four years we have never had any problems such as Insect and Beetle Infestations, Mold, Mildew, or Viral Infections. The Ambrosia is quite resistant. All of my Ambrosia Cantaloupes have been very prolific, averaging anywhere from 12-25 per plant. Instead of having difficulty using all my melons, I have neighbors asking if I "have any to spare.!" Yesterday, a neighbor asked me if I could.... "plant four or five more 'bushes' so there will be more melons." Rated 3 out of 5 by Rick51 from Tasty melon I have grown several varieties of melons with limited success. This is the second time that I've grown Ambrosia melons and they seem to do the best in my area. This picture is over a month old. By mid August ( about 100 days after germination) the melons had succumbed to a viral wilt I think, thanks to the tenacious cucumber beetles that plague my garden. Even so, the four vines produced about a dozen delicious and very sweet melons. If I was willing to use pesticides I'm sure I could dramatically increase the yield There was a lot of young fruit on the vine when it finally croaked. Rated 5 out of 5 by Mike S from ambrosia cantaloupe and all other seeds I'm very pleased with all of the seeds we have purchased at Burpees exceptional quality and very good germination I will continue to buy all my gardening seed from them. Rated 5 out of 5 by Cherri from Greatest cantaloupe ever! We have ordered this seed for several years. The melons are very large and the sweetest, best cantaloupes we have ever tasted! No more store bought tasteless melons for us, only Burpee's ambrosia hybrid!